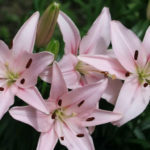 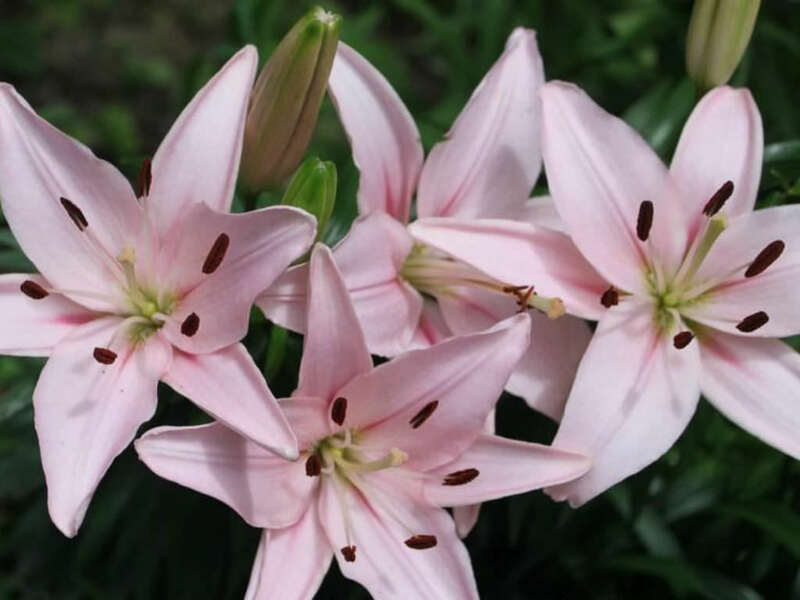 Lilium ‘Tiny Athlete’ has upward-facing, mildly fragrant flowers that are clear pale pink. 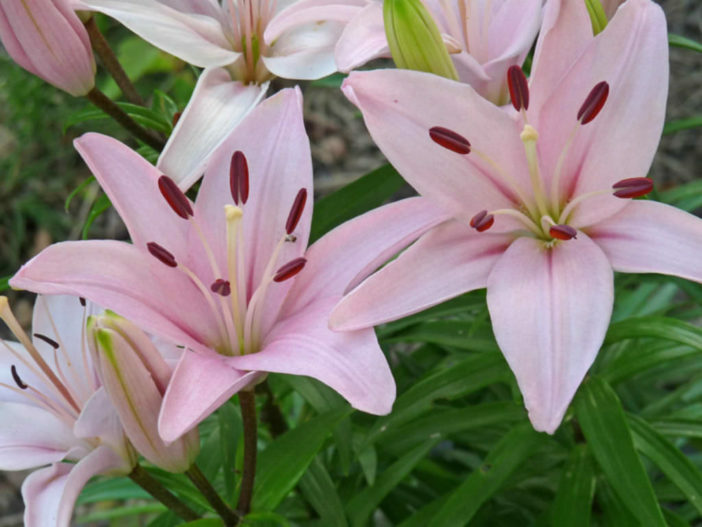 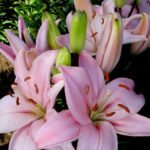 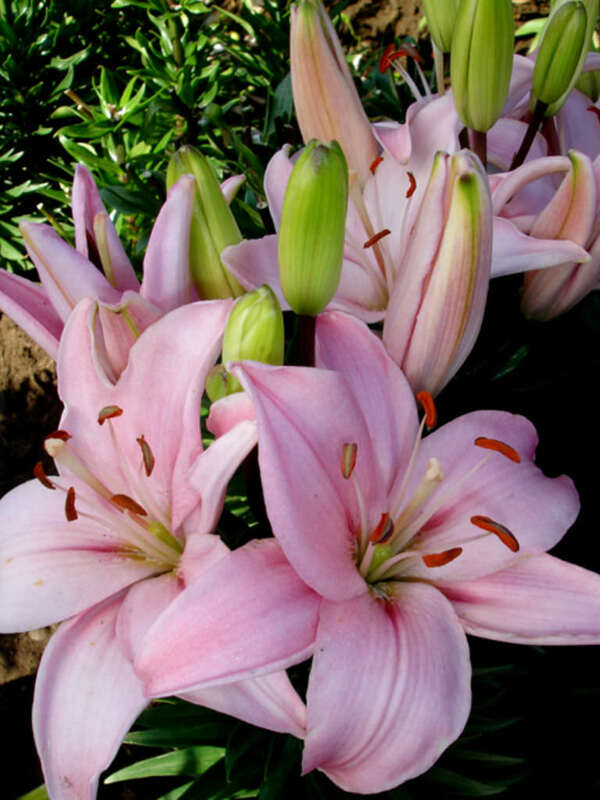 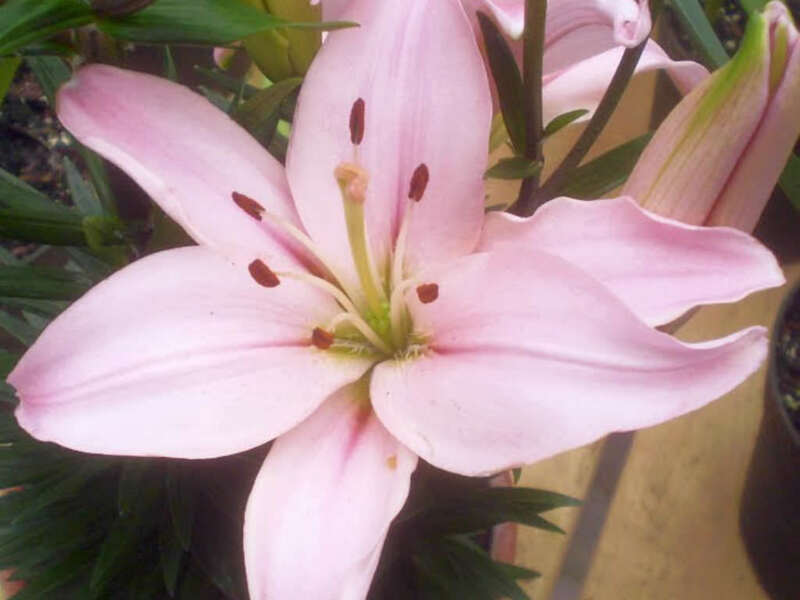 This compact Asiatic Lily blooms in summer and is ideal for container culture. 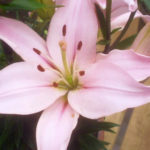 One of the Lily Look series developed in the Netherlands.